Jose Mourinho is currently enduring one of the worst moments of his managerial career. The Portuguese arrived at Manchester United with so much hope but has so far failed to make any meaningful impact at Old Trafford. The former Porto and Real Madrid boss may have won the Europa League and the EFL Cup in his debut season with the Red Devils, but results have since been poor and it now looks like it’s just a matter of time before he is axed from the post. Also, despite United finishing 2nd in the Premier League last season, the club’s round of 16 exit at the hands of Sevilla was particularly unacceptable for both fans and the board. Mourinho is a great manager – and his achievements speak for him – but the fact is that he has refused to move with the changing trend. He keeps on doing the same old things, and he will definitely keep on getting the same results. Saturday’s 3-1 loss to West Ham was the Red Devils’s third of the season, leaving the club already eight points adrift of the top after just seven games in the Premier League. 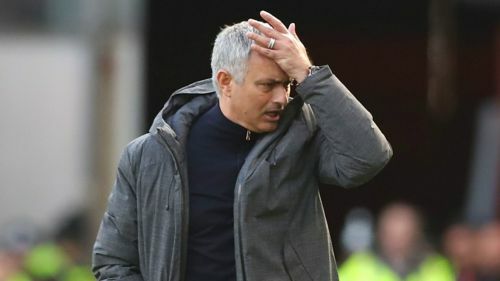 There are certain mistakes that the Portuguese has continuously repeated in his over three-year period as manager of Manchester United, and until he rectifies them, the Red Devils do not look like they will come good anytime soon. Jose Mourinho is noted for often confusing personal matters with that of professional. And the signing of Alexis Sanchez from Arsenal in January was one of such cases. He simply wanted to make a statement. Manchester United already had Anthony Martial in the form of his life at the time, and all the Frenchman needed was a consistent run in the first team to get better. However, the signing of Sanchez stalled Martial’s development and till date, he has never been himself. That the former Monaco star is now a pale shadow of himself is the fault of Mourinho who tried to fix what was never broken. The Portuguese tactician may never admit that he erred in bringing the Chilean to Old Trafford, but deep down, anytime that Alexis underperforms he would know that that was never a shrewd business he did. Should Mourinho leave United today, he would definitely know that one of his biggest mistakes was buying a player just because he wanted to get one over his eternal rival Pep Guardiola, rather than improve his own team.